Welcome DCWV fans! It’s Jenifer from the DCWV Social Media Design Team! 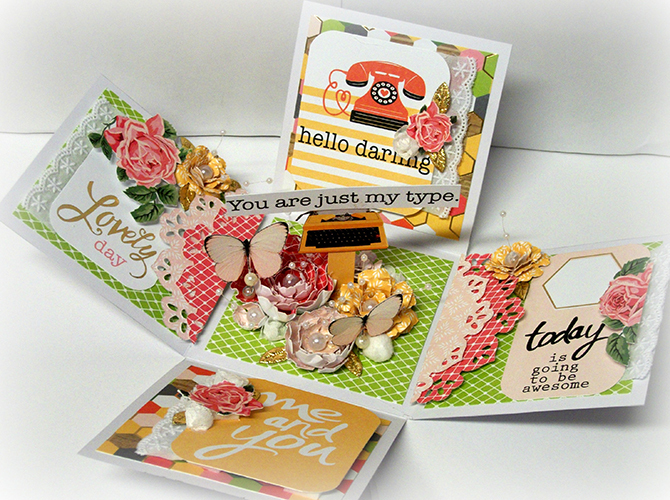 I want to share a fun project that I made with the Hello Darlin Stack. This is one of the sweetest stacks, it has nice beautiful colors and fun bicycles, telephones and typewriters. I created this fun explosion box for my sweetie for Valentines day. 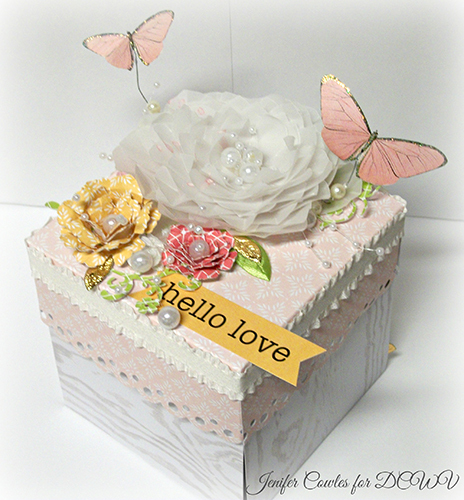 I clustered some flowers and butterflies on the top of the lid to give my box some dimension. This is the inside. The center has some flowers and a fun typewriter in the middle. 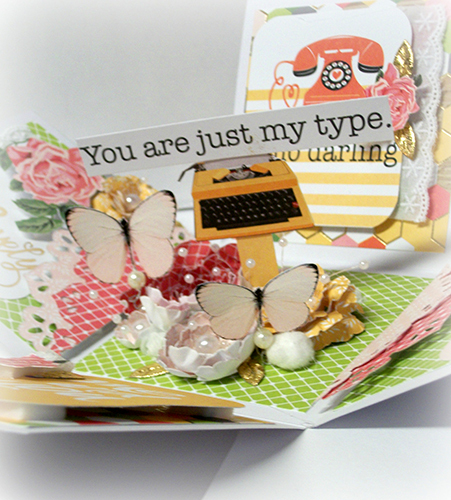 I cut out some fun cards with nice sentiments and adhered them to the outside corners. Here is a close up of the center. I love the colors of this stack and I have plans in the works for more projects...so stay tuned!